Marvel’s bioggest movie of all time — in both on-screen hero bulk and box office revenue — Avengers: Infinity War, is celebrating it’s record-annihilating film with a series of three sneakers with sneaker stalwarts Vans. Headlining the pack is a “What The”-themed Old Skool that includes a mash up of Marvel’s Avengers, including the Hulk, Captain America, Thor, and Iron Man. 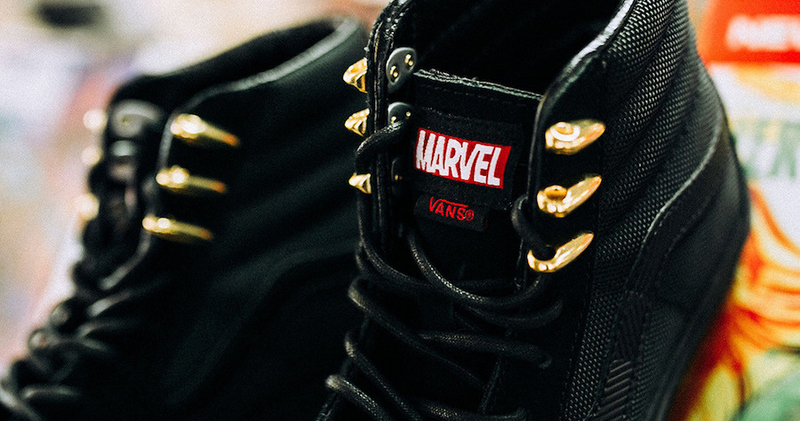 Both Black Panther — our pick of the pack — and Spider Man get their own sneakers with their respective Vans Sk8-Hi and Vans Slip-On. The “Avengers” Pack releases TODAY on Vans.com and at select Vans retailers like Rock City Kicks.